Shopify is a platform created for online stores. It has a wide array of tools and features that allow e-Commerce businesses to establish and run stores and sell items in person. Fully-featured and used by over 600,000 online commercial ventures worldwide, this platform also offers functionalities that are specifically created for retailers who run the business offline. 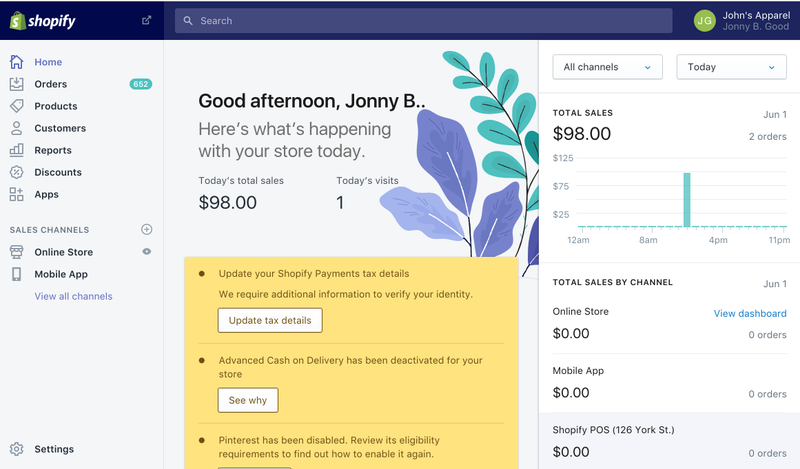 Shopify is branded by experts and business operators a reliable e-Commerce solution available in the market today (especially the version Shopify Advanced). This platform offers a wide variety of benefits for business operators who want to establish an online store. The main benefit offered by Shopify is that users can easily set up an attractive and responsive e-Commerce store. This is made possible by a long list of ready-made themes to offer your business a professional appeal. Users’ stores will be hosted by Shopify, meaning you don’t need to worry about the technical aspect of your business. The operation and maintenance of your servers are secured and updated using the latest system. It also offers round-the-clock customer support to tackle all your questions and concerns. Abandoned carts are automatically recovered using this solution. What’s more, you can also get easy-to-understand reports, robust marketing tools, and run your payment system. Users can even easily and quickly import of catalogs, including large ones. Finally, users who subscribe for Shopify Advanced can get more useful and dependable features and functionalities.